Fannie Elizabeth Hinshaw1,2,3,4,5 [Fanny Hinshaw6]. Isley, Dacey, son-in-law, age 21, born in North Carolina; parents born in North Carolina; occupation: teamster, saw mill. Isley, Fanny, daughter, age 18, born in North Carolina; parents born in North Carolina. Betty Lee Fogleman, born Jul 18 1930, Alamance County, North Carolina [twin]; died Sep 24 2015; married Bobby V. Lowe (son: Michael Lowe). Carol Fogleman, born c1933, North Carolina. Sarah E. Fogleman, born c1936, North Carolina. 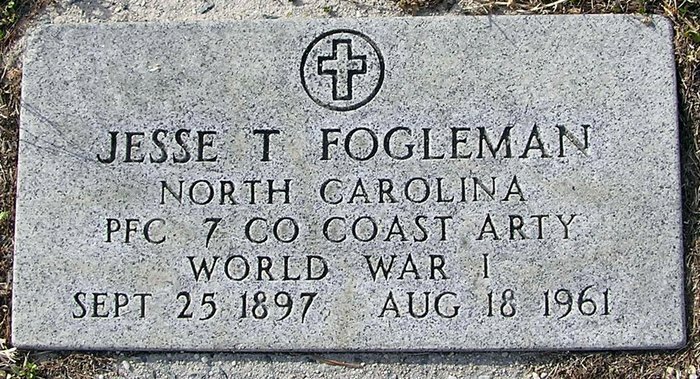 Fogleman, Jesse, head-of-household, age 34, born in North Carolina; parents born in North Carolina; first married at age 31; occupation: laborer, chair factory; not a veteran. Fogleman, Fannie, wife, age 27, born in North Carolina; parents born in North Carolina; first married at age 19. Fogleman, Cecil, son, age 4, born in North Carolina; parents born in North Carolina. Isley [unclear], Spurgon, step-son, age 10, born in North Carolina; parents born in North Carolina; attended school. Fogleman, Jess T, head-of-household, age 42, born in North Carolina; completed 7th grade; on Apr 1 1935 was living in the same house; owned farm ($1500 value); occupation: farmer, farm. 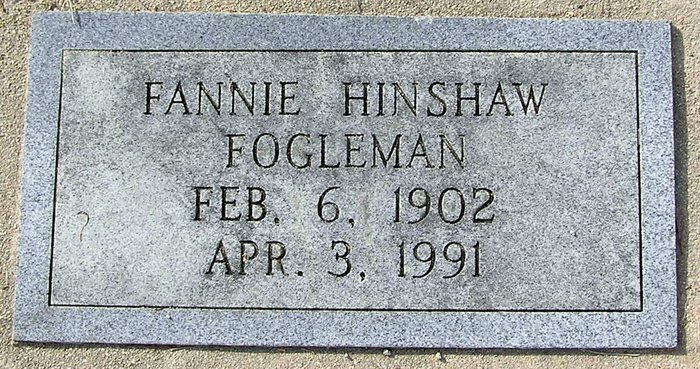 Fogleman, Fannie, wife, age 37, born in North Carolina; completed 7th grade; on Apr 1 1935 was living in the same house. Fogleman, Cecil, son, age 13, born in North Carolina; completed 6th grade; on Apr 1 1935 was living in the same house. Fogleman, Billy, son, age 8, born in North Carolina; completed 4th grade; on Apr 1 1935 was living in the same house. Fogleman, Betty, daughter, age 8, born in North Carolina; completed 4th grade; on Apr 1 1935 was living in the same house. Fogleman, Carol, son, age 7, born in North Carolina; completed 2nd grade; on Apr 1 1935 was living in the same house. Fogleman, Sarah E., daughter, age 4, born in North Carolina. Contribution from Jim Hawkins (). 1910 census, Patterson Township, Alamance County, North Carolina; roll T624-1095, ED 2, page 13B, line #89, dwelling #110, family #111. 1930 census, Patterson Township, Alamance County, North Carolina; roll T626-1671, ED 1, page 10A, line #8, dwelling #191, family #192. 1920 census, Patterson Township, Alamance County, North Carolina; roll T625-1282, ED 2, page 5A, line #1, dwelling #91, family #91. 1940 census, Patterson Township, Alamance County, North Carolina; roll T627-2868, ED 1-1, page 9B, line #45, household #157. Contribution from Kenneth Lloyd Hinshaw. 1930 census, Patterson Township, Alamance County, North Carolina; roll T626-1671, ED 1, page 10A, line #12, dwelling #192, family #193. 1930 census, Patterson Township, Alamance County, North Carolina; roll T626-1671, ED 1, page 10A, line #15, dwelling #193, family #194.